MLM Software|MLM Software in Ajmer|MLM software|MLM Software in Jaipur|MLM Software in india|MLM Software in Rajasthan|MLM Software in Haryana|MLM Software in Punjab|MLM Software in Bihar|MLM Software in Lucknow|Web Development Company in Panipat|Website Desiging in Haryana|Website in Karnal|Website Desiging Company in Kurukshetra|MLM Software Haryana|Multilevel Marketing software Haryana|Binary MLM software karnal|Matrix Plan Panipat|RD-FD software Sonipat|Gift Plan Yamunanagar|Helping Plan Ambala|Shopping website in Ambala|Software Development Company in Sonipat|Online Shoping Website in NCR Delhi|e-commerce website in Gurgaon|e-commerce website Designing in Yamunanagar|mlm software|mlm software in india|mlm software company|mlm software development. Most organizations are tremendously moving their systems to internet and with search engines providing lots of new business, the investments by any company in their website are increasing daily. 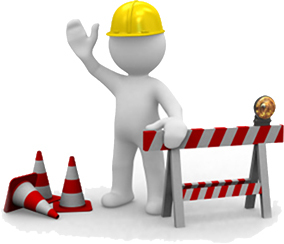 We at iSHA strongly believe that even the most well and planned website needs maintenance to ensure the website is up to date to attract its target audience, new changes are updated frequently so that the web site gets noticed periodically by search engines like Google, Yahoo, MSN etc, new updates are applied for website security, steps are taken to counter hacker attacks and reduce downtime if the site is brought down by any intrusion or attack. Our website support services are offered under an annual contract payable monthly, at extremely affordable rates. The web-site maintenance contracts allow companies to take care of their most website support requirements at low cost instead of paying third party companies high amounts for any sudden changes required. - Bug fixing and problem reporting. - Fast turnaround time for changes. - Complete service solution for your web site. - Bi-Weekly Database Backup and Website backup after any update. - This will ensure we can bring up the website within 24 hours of any failure/hack attack. - Version Upgrades (New versions of CMS, PHP, MySQL and other tools). To make the work effectively and affordably, we offer customized maintenance service packages to our global clients. Custom Contact Us for number of hours & the monthly fee. Get Started Now! And Contact Us for a free no obligations quote for your website maintenance requirements.